Doyle Interior Systems (DIS) offer a Turnkey package that will suit all budgets and take the hassle out of your office re-fit, refurbishment or office move. As all our systems are demountable, your office can be dismantled and relocated in another location in the office years later. We carry a stylish range of office furniture. From the open plan office, Reception Desk, Executive Office, through to the Board Room. 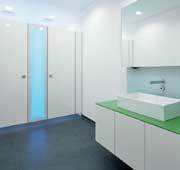 We are now sole agent for the Schäfer toilet cubicle, locker and washroom systems. Select from a range of glass, solid grade laminate to resin wrapped chipboard toilet cubicles. 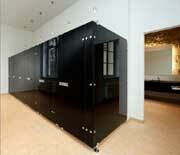 We also provide a wide range of lockers and washroom systems.